Welcome to a world of vibrant, approachable and delicate Pinot Noir that you will never want to leave! Paul listened to Angel's and has changed the style of this vintage. You'll think ripe mulberry and dark fruits with some cooler red fruits. One glass isn't enough! The savoury notes and lighter mouth feel emulates Burgundian style of Pinot Noir, perfect for those looking to avoid the heavy, dominating reds. A lovely mineral acid line livens the palate and allows the berry flavours to dance their way to an lip smacking, slightly spicy finish. Paul loves to uphold his commitment to unique and individual winemaking every vintage, and this Pinot is no exception! 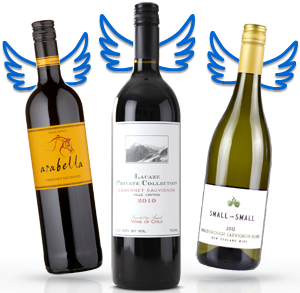 Angels have got an opportunity to taste an incredible wine from quality aged vines in the Great Southern region for under $15. You'd be mad not to pop this in your basket! Hand picked from a premium Single Vineyard site in the Ferguson Valley, W.A. - 30% whole bunch wild fermented, unfined, unfiltered and bottled early to deliver drinking pleasure! Gamay is a super-cool variety that serves up classic aromas of red fruits and violets all with a hallmark acid crunchiness. Fine velvety tannins round out a seductive mouth filling palate that is rich, attractive and seriously gulpable! A perfect wine for parties. Still a rare planted variety in Oz it over delivers in spades and is pure unadulterated drinking pleasure! This wine began its journey in the vineyard - foot stomped, wild yeast fermented on site, pressed off to older oak and left on lees for 12 months until bottled. A true artisans wine! Seductive fresh and vibrant with fine chalky tannins. Hints of herb, spice and dusty earth support a rich fruit profile that is elegant and lingering. This delicious Pinot truly represents the variety and site - ever so lightly oaked this is a wine that speaks of its origins and offers extraordinary drinkability. It is simply perfect with BBQ’d lamb chops - yummm! Angels, get ready for the next instalment of juicy dark crimson red Shiraz from Gary! It will spill out blackberry and cherry aromas from your glass, and you'll taste a world of flavours that will keep you coming back for more! Just think of all the scrumptious black and cherry fruits, pepper and cinnamon with charred vanillin notes. The textured and soft tannins on the finish make this a fabulous food wine, perfect to pair with your favourite red meat dishes. Of all the things Gary knows, the fact that low-yielding vines are one of the most important ingredients needed for a bold, dark Shiraz is certainly one! This wine is a repeat offender when it comes to selling through the vintage, so pop a bottle or three in your basket today! With cool climate reds sky rocketing in popularity, this wine is guaranteed to leave you dizzy with delight while enjoying its rich core of dark berries and a smattering of spice. On top of all this, each sip coats your mouth and seems to linger for a tasty eternity. The Great Southern is remote even by WA standards so it takes a special winemaker to be across all the varying climates and vineyard sites. Thankfully Gary knows stuff, so he finds the best parcels, blends them together, to create magic. This incredible Top Shelf Cabernet draws on a few secret weapons - smaller doses of Shiraz and Malbec - to fill out the palate and make each mouthful even more luscious. 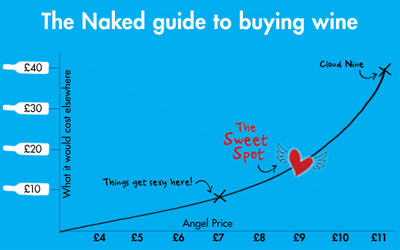 It's made in small quantities, so if you get in quick you'll learn all the Stuff that Gary Knows is too good to miss! The latest Nodus Tollens has hit the Naked shelves - the new premium range from our wild child of the West, Paul Nelson.This sensational full bodied Red Field Blend is rich and round and a beautiful blend of 3 varieties that fit so well together. Plush, ripe Shiraz leads the way with black pepper spice, then Tempranillo adds savoury and smoked meat notes and then a touch of Viognier gives the wine a delicate floral lift. A perfect Red for your next scrumptious BBQ. Yummm! You better get your skates on, once your fellow Angels find out this cracking red won’t be around for long.